No one does the holiday’s like Swoozie’s! That’s why we were so excited to see our friend, Adair Currie of Daring Details, blog of Dairing Events. share her holiday party inspiration that is perfect for the family and kids with the help of some of her favorite Swoozie’s decorating and party essentials! Keep reading on how she put together a perfect holiday Cookie & Cocoa party for the kids, with a couple of her own DIY gifting ideas! Christmas and the holidays have a whole new meaning now that our Adair Lucille is running around, bursting with personality, and constantly getting into mischief. It has also inspired me to think outside the box when it comes to parties and decorations! 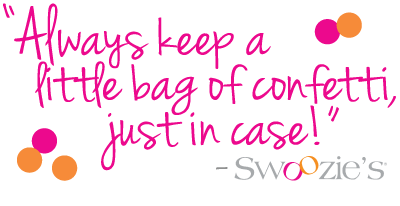 Thankfully, Swoozies is my spirit animal store and had exactly what I was looking for this season. 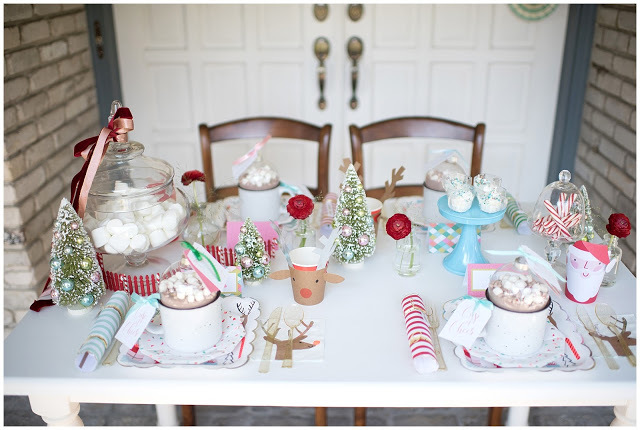 Vintage Blues, Pinks, and Greens, on tinsel trees have me bursting at the seams to create tablescapes that are kiddo friendly, while also keeping adults in mind. This is the first stop in our series, showcasing this tablescape, all the fixin's, and a few DIY gifting ideas from me and my creative friends! 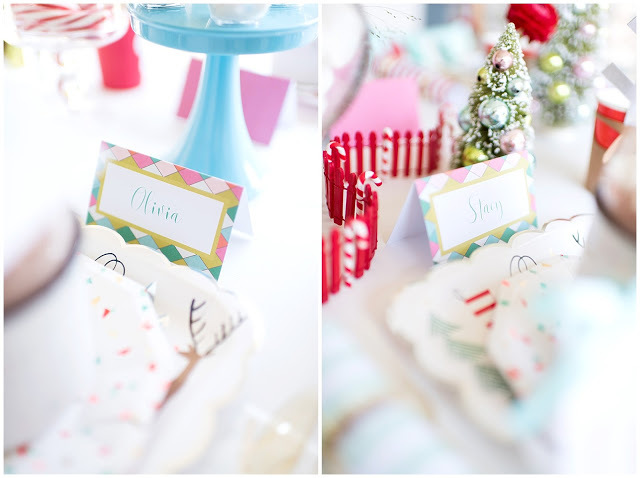 Thank you to Jenn Guthrie Photography for capturing all the whimsy holiday fun! Tip for printing: These are designed in landscape format, with standard 8.5x11 Letter size cardstock paper. You can adjust your printer settings to 'landscape' to ensure the file prints correctly. To print a specific page, download the PDF and choose the page number you would like to print in your printer settings. 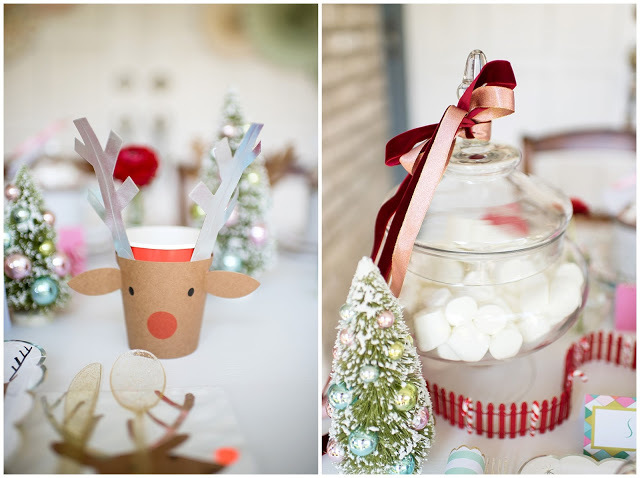 CLICK TO SHOP OUR CHRISTMAS COLLECTION TO FIND PARTY ESSENTIALS LIKE THE ONES SHOWN HERE & MORE!